Often we’re asked to produce large photographic signs for clients looking to spruce up their work place. In full colour it certainly makes an impact, and one which gets the attention of your customers. Seen here are large 3.6m x 2.4m prints used to jazz up the local bottle shop. 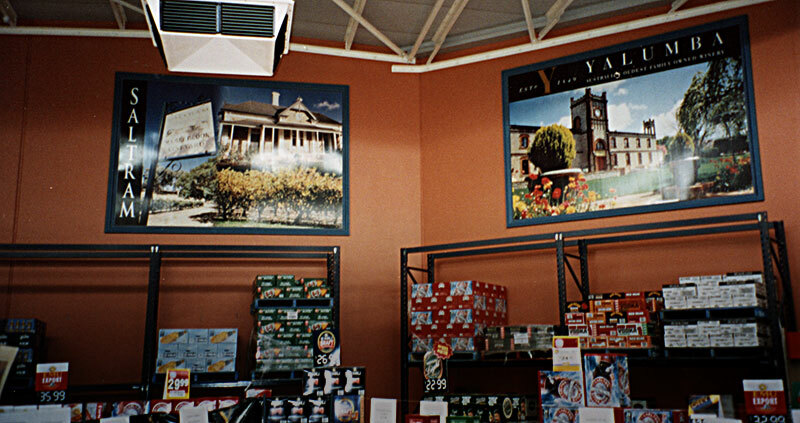 With pictures of the associated wineries, both the supplier and customer were pleased with the result. If you would like to have large photographic signs to make your workplace stand out, please head to our contact page to enquire.